For the QC Twenty Four pre amp, our designer scoured the globe for the very finest components, with possibly the best example of this being the new 'old stock' 6111WA double triode. With transformers designed by one of the world's leading authorities and relay input switching the musical signal is preserved in its purest form - pursuant to the philosophy of the theoretical perfect amplifier which Peter Walker himself stated is, 'a straight wire with gain'. 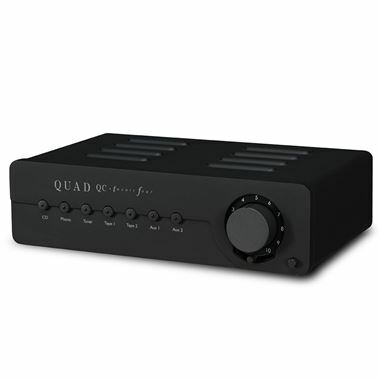 The QC Twenty Four has 2 main outputs, 2 Tape Play and Record connections and inputs for CD, Tuner, Aux 1, Aux 2 and an optional Phono port.